An additional championship point will be awarded to the member with the fastest lap in each class. If a driver is unable to complete their heats or finals, their finishing position will be the last place of the final they have qualified for. F1 Tyco and Modified class championship rounds will run on the same evening. 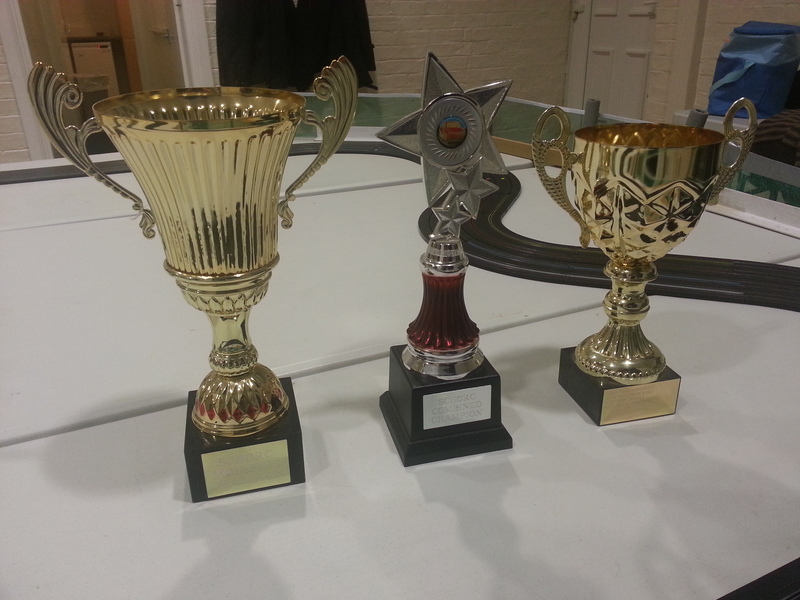 Micro Scalextric Club Class and Super F1 class championship rounds will run on the same evening. In the event of a Championship tie, the result will be decided by count back starting from wins. Best 5 of the 6 championship rounds counting towards championship standings. The sum of the best 5 of the 6 rounds from the F1 Tyco and Modified class championship rounds. The sum of the best 5 of the 6 rounds from the Micro Scalextric Club Class and Super F1 class championship rounds. At the end of each year, trophies must be returned to the club for engraving and presentation to their next winner.